Remote Monitoring for Off-Grid Solar PV: What is the Motivation? Sensors capture system health information and transit this back to Washted to improve the overall fault prevention and response. 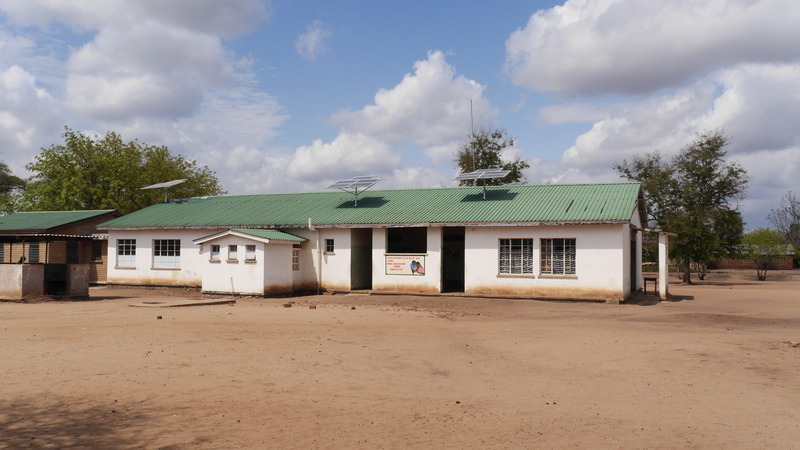 The MREAP Strategic Energy Project (SEP) with the Washted involved implementation of 4 rural solar PV projects at locations that included both a health centre and a primary school in close proximity. Since only 4-5% of of Malawi’s rural population has access to electricity and 10.3% connection rate at primary schools, the provision of off-grid service is a huge step forward. With technical sustainability has been an ongoing challenge for off-grid projects, this SEP deployed a remote monitoring (RM) system that could check the status of the system at almost real time. Although in conventional power systems (e.g. on developed/main grids) typically do involve some level of data acquisition, it is unheard of for off-grid projects in rural Malawi. The technology for the RM system consists of a wireless sensor network, a micro-controller, communication connection, central database stored on a server, and front end for data-visualization. This setup captures key system information such as volts, amps, temperature, etc. and transmits it back to the office in Blantyre for near real-time monitoring. We were interested to what extent successful RM deployments impacted operating performance of systems through fewer and shorter breakdowns (faults or system misuse could be identified sooner and more accurately by trained personnel). In addition transaction costs associated with traditional system maintenance schemes, such through regular periodic checks or false-positive checks based on customer request, could be reduced. Thus, on a project-by-project basis, inclusion of RM has some important potential benefits. Under MREAP few general research questions we are going try to provide some answers to: How exactly does RM impact sustainability of individual off-grid projects? What policy implications does this have? How might it impact the supply chain? While we cannot hope to provide all the answers, we do hope that in the upcoming posts on Remote Monitoring we can provide some evidence and point the way towards further research.